Dan Arnaudo is a Cybersecurity Fellow at the University of Washington’s Jackson School of International Studies where he has collaborated on projects in Seattle, Brazil and Myanmar. 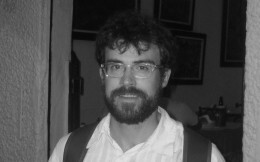 He is concurrently a Research Fellow with the Igarapé Institute of Rio de Janeiro. His research focuses on internet governance, cybersecurity, and information and communication technologies for development (ICT4D). He earned masters degrees in Information Management and International Studies at UW by completing a thesis on Brazil and its Bill of Rights for the internet, the Marco Civil.